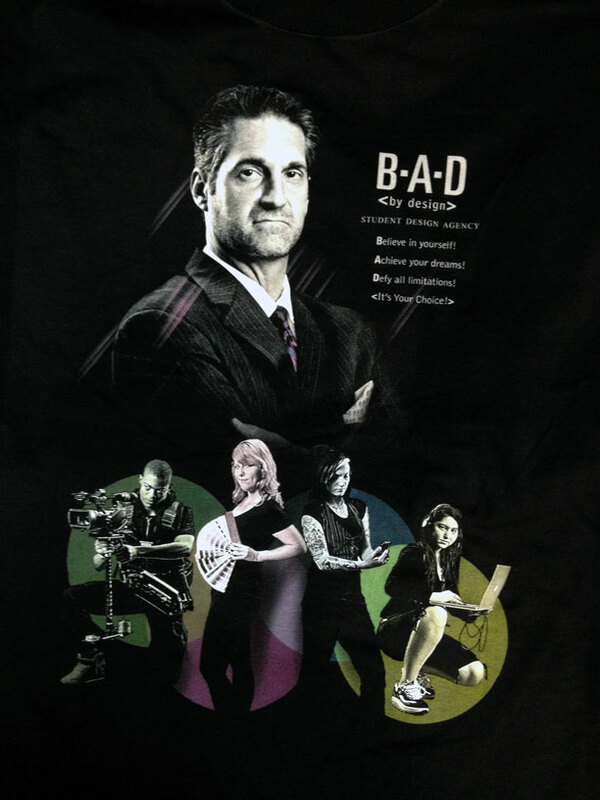 This is the print done for B.A.D. by Design student design agency. The shirt will be used to help raise the funds and further promote the agency started by the Virginia Marti College of Art and Design professor Todd Saperstein. -The first version of the shirt was printed with plastisol only and placed second at the 2012 Impressions/ISS competition in the Four Color Process category. -The revised, second version (color changes in the bottom part of the print), received a Bronze award at the 2012 annual SGIA competition in True Process on Dark Garments Category. The competition attracts numerous domestic and International entries and is the premier competition held in the US. Out of the seven winners in the garment printing category only three companies were from USA! We are extremely proud of winning this prestigious award for the second year in a row. 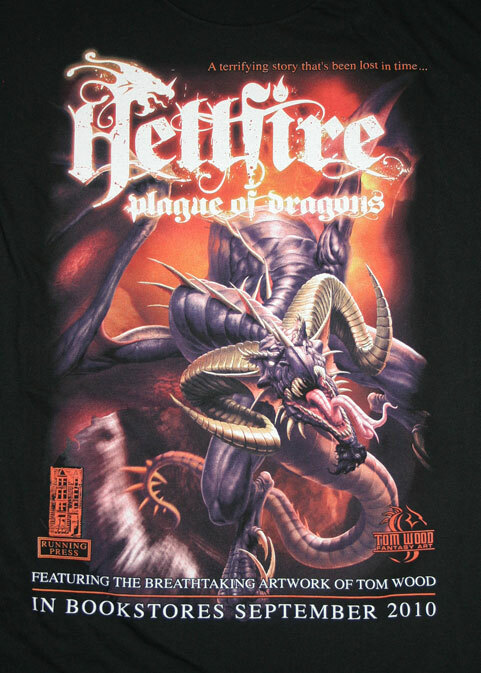 This version was done as a four color process using Union TureTone inks (plastisol) and CCI’s discharge white for underbase. B.A.D. by Design intends to provide real world opportunities to Virginia Marti College of Art and Design students in the fields of Graphic Design, Digital Media, Fashion Design, Fashion Merchandising, and Interior Design, offer affordable design solutions to local industry, and a portion of each project will be donated to the Virginia Marti College Foundation in the form of scholarships to students in need. B.A.D. by Design also provides motivational materials to new design students based on the challenges and successes experienced by student members of B.A.D. by Design. Student members will learn about time management, gain interpersonal skills while working directly with clients and working as a team to provide solutions, and finally learn how to motivate others by sharing their personal experiences. Tom’s work is so spectacular and it lends itself very well to the highest end prints. This one was awarded the Gold Medal in the Multicolor Prints on Light or Dark Garments at the 2012 Impressions/ISS competition. The print was done with the discharge underbase with seven screens. 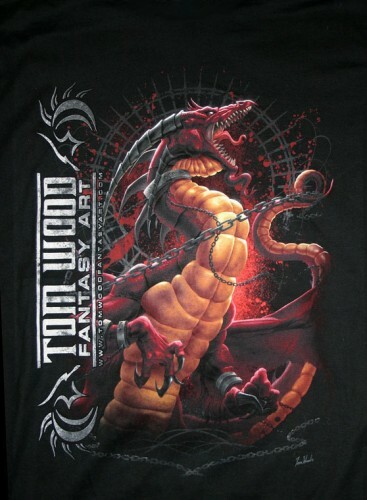 Plastisol inks were used on top (red, yellow and white). As is the case with all the other winning prints, it was separated by Dan Campbell from Dot Tone Designs. Another one of Tom’s designs. This one won at the 2012 Rutland/Union Ink/QCM (ink manufacturer) competition. We took the third place and were awarded $500!!! Separtions were done by Dot Tone Designs as on the previous winners. 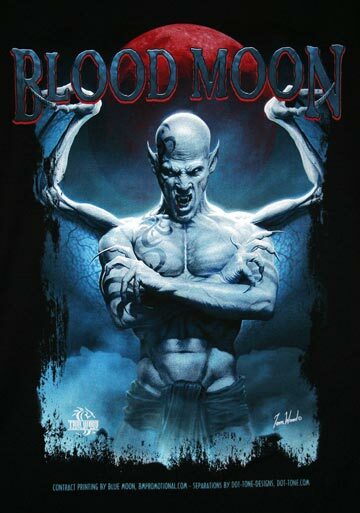 We used plastisol inks, white, light and dark blue, red and Black. It required seven screens and was a hybrid print utilizing two different types of dots to create the halftones (AM and FM dots). The impressive part was that the smallest dot in the print was only 3.57/1000th of an inch in size. The whole body of the vampire was generated with those small dots! Our First SGIA Golden Image award (2012). We won the second place in the Simulated Process on Light Garments! Golden Image is equivalent to Academy Award (Oscars) in the screenprinting industry! Printed plastisol inks with six screens. Brown, Black and White ink were used. 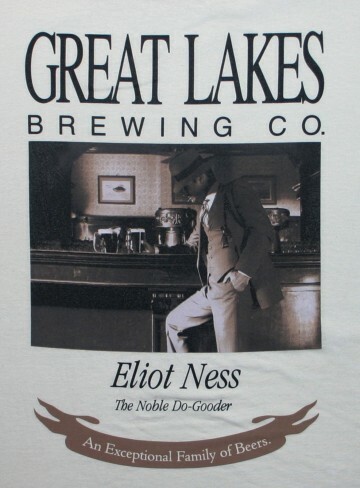 Design is copyright of the Great lakes Brewing Company. Artwork was separated by Dan Campbell form Dot Tone Designs. Our first winner! Took home a Silver in the Simulated process Category at the 2010 Impressions/ISS competition. Artwork designed by Tom Wood and separated by Dot Tone Designs. Printed with plastisol with White, Yellow, Red, Purple and Black ink. Required seven screens to get the blending correct.